The Dwarf Mulberry Bush – We know it can be tricky to find the fruits in supermarkets, and you can have all the joys of growing your own mulberries without the hassle of keeping a large tree. 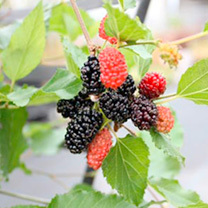 With heights reaching 8 metres, many people don't have the space for a mulberry tree, and this one was named Plant of the Year at the 2017 RHS Chelsea Flower Show. 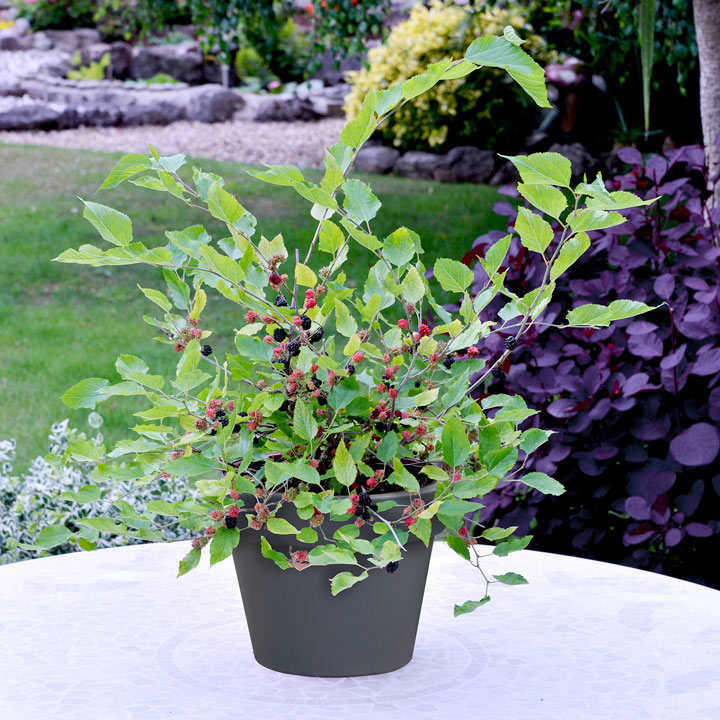 This dwarf, compact variety only reaches a height of approximately 1.5m (compared to normal mulberries that can reach up to 8m in height), making it suitable for any garden. It’s self-pollinating, fully hardy and fruits on both old and new wood, meaning you can be picking mulberries within the first year as opposed to the usual 8 or 9 years it takes most other mulberries. 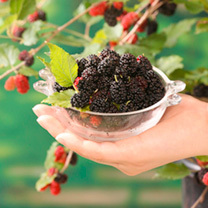 And unlike other varieties that only produce fruit over a 3-week period towards the end of summer, Charlotte Russe (Matsunaga PBR) produces berries over a very long period, from May right through until September! 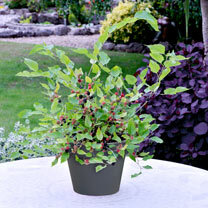 Please note: These plants will go into dormancy in the autumn and will lose their leaves. 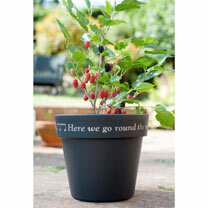 Supplied in a 2 litre pot, plant size 15cm. 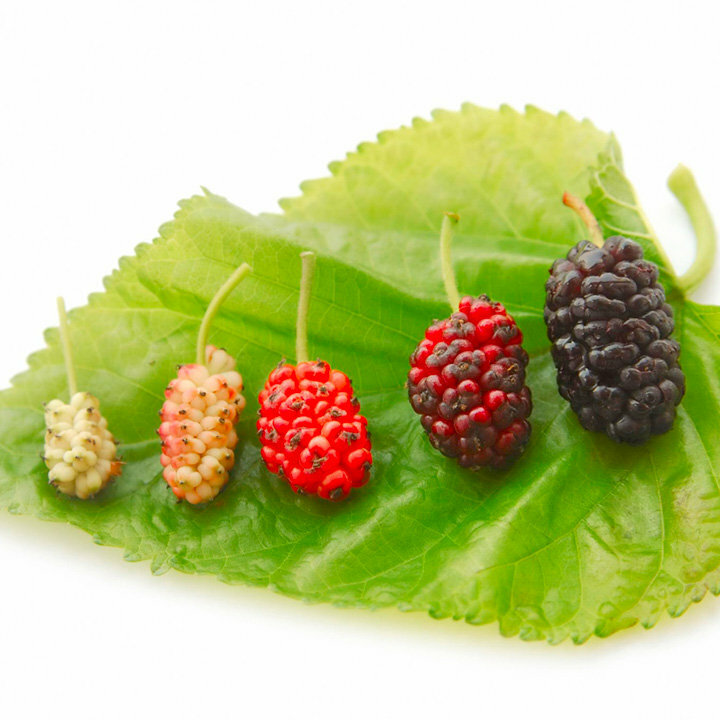 In celebration of the long-standing royal connections of mulberries and in recognition of the newest addition to the royal family, we've named this exceptional new variety Charlotte Russe. The Royal Gardens - Introduced more widely than had previously been the case, by James I around 1609, the royal connection of mulberries is still celebrated. 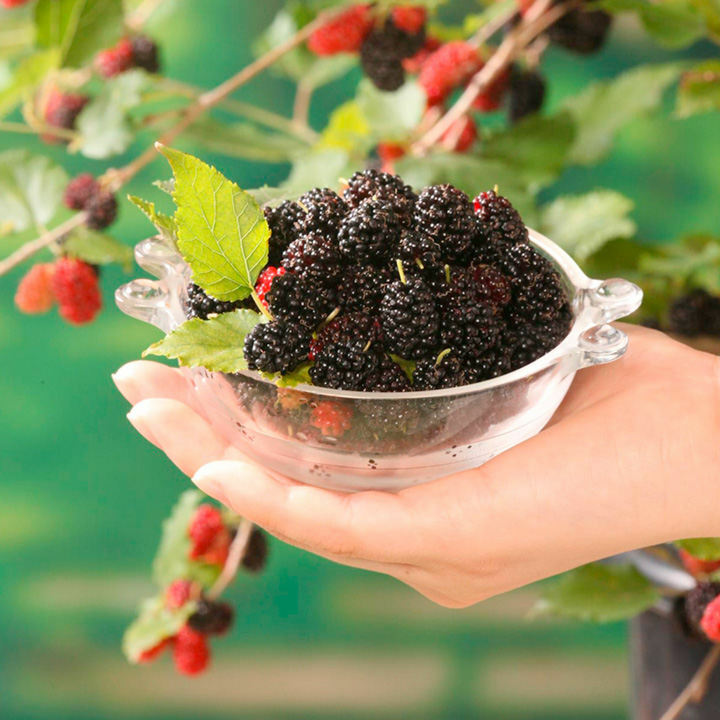 The National Collection of over 30 varieties of mulberries is planted in the grounds of Buckingham Palace, Kensington Palace and Marlborough House. A Royal Dessert - The Charlotte Russe dessert is said by some to have been invented by the French Chef Marie Antoine Careme, who named it in honour of Queen Charlotte, wife of George III. 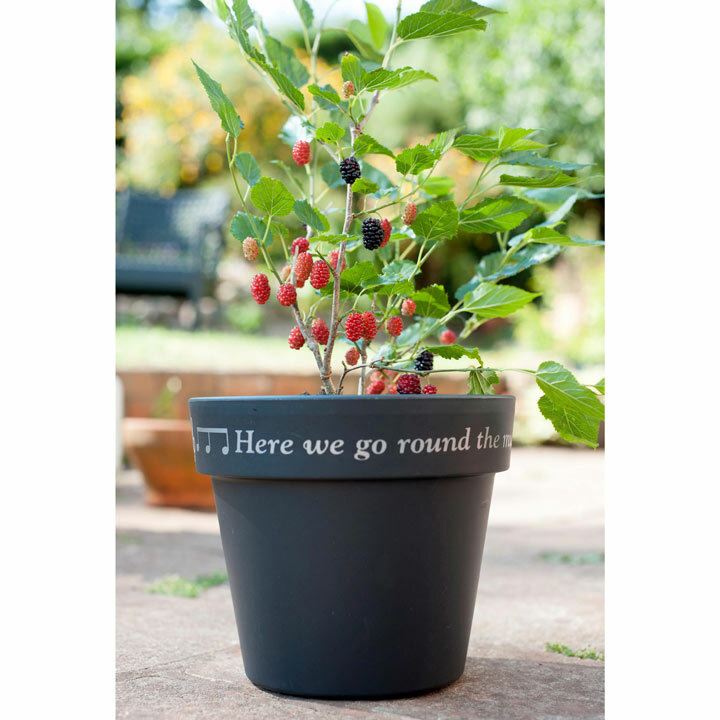 Though not traditionally made with mulberries they certainly would be a good choice!